At a recent show in Seattle, Haim and Lizzo performed an incredible version of the 90’s hit “The Boy Is Mine” except they swapped the gender pronouns, changing the song into “The Girl Is Mine,” as reported by Consequence of Sound. The original song, performed by Brandy and Monica, was a smash hit when it was first released in 1998. The new version saw Este Haim singing Monica’s lines and Lizzo singing Brady’s while the rest of Haim played in the background. 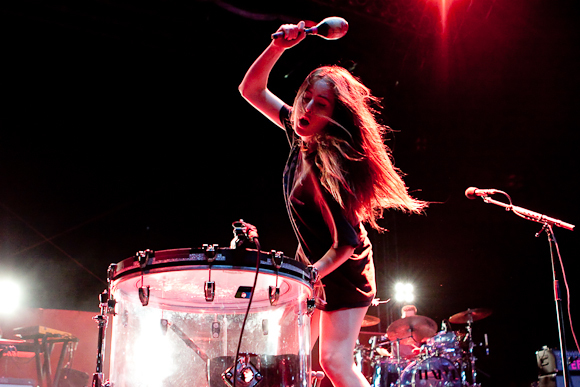 Haim has been doing a short tour in preparation for an appearance at this year’s Coachella festival, and Lizzo has been the opening act for them on this leg of the trek. The “Sister Sister Sister” tour will continue after Coachella and appears to be one of the hottest tours of the early spring. Haim is touring in support of their most recent release Something to Tell You, which came out last year to much critical acclaim. The group also collaborated with director Paul Thomas Anderson for a series of visually striking music videos to accompany the lead singles off the record. You can check out fan-filmed footage of Haim and Lizzo performing “The Boy Is Mine” below.